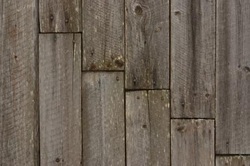 JH Barn Wood and Demolition is an integrated reclaimed wood products company catering to high-end commercial and residential clients worldwide. Our products include solid hardwood flooring, siding, decking, lumber, and custom beams, slabs and mill work. In fact, we reclaim all of the woods that we sell. Our unique ability to manage the demolition throughout the entire distribution process is but one reason why so many customers keep coming back to us.